You'll be humming along with this Christmas Tree table runner designed by Jennifer Bosworth for Shabby Fabrics. 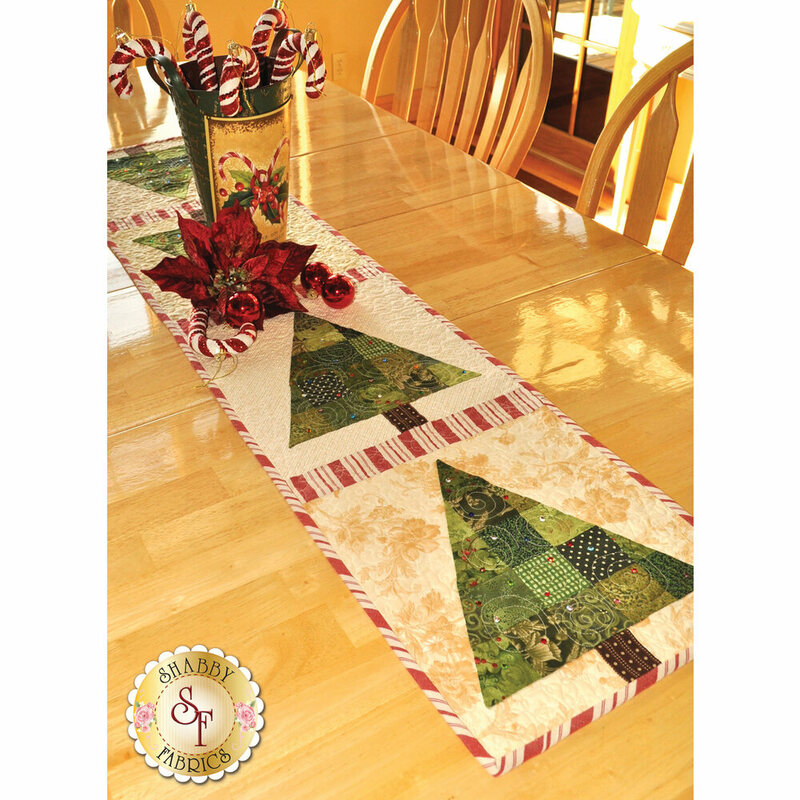 Finishing to 12 1/2" x 53", this table runner uses beautiful shades of green to make the patchwork Christmas trees. Add a little sparkle with hot set glass jewels, and your holiday is complete! Kit includes pattern, all fabrics including binding and backing, and 80 Czechoslovakian glass hot set jewels. Add the Olfa 45mm Rotary Cutter below for precision cutting!